No. We hold professional indemnity insurance just like Solicitors and are fully qualified to deal with any property transaction within NSW. As a member of the Australian Institute of Conveyancers, NSW Division a certified Practising Conveyancer (CPC) must maintain highprofessionalstandardsandmust act honestly and ethically. We are fully qualified and have well over 24 years experience to protect your interest. What is the difference between a Solicitor and a Certified Practicing Conveyancer (CPC) ? We only specialise in one area of law and that is “property”. 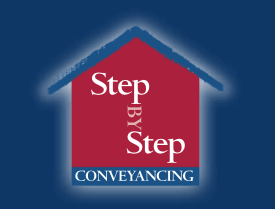 Unlike Solicitors they specialise in numerous areas of law – Conveyancing is all that Step by Step Conveyancing do. What will aCertified Practicing Conveyancer (CPC)do for you? When Selling a property we will prepare the contract and handle all matters necessary to take your sale through to completion. When Buying we will explain the contract, negotiate any changes to it, explain mortgage documents and arrange all necessary searches and inquiries needed to complete your purchase. Is a CPC cheaper than a Solicitor? Not necessarily. At Step by Step Conveyancing we may not always be the cheapest but remember that you only receive what you pay for – If you pay cheap you may receive a cheap service and not be fully protected during the course of your transaction which may end up costing you more later on. Exchange – There are two contracts. One is signed by you and another by the Vendor. Contracts are then compared to ensure that they are identical, at which time they are then dated. The Vendor’s Licensed Conveyancer/Solicitor keeps the contract signed by you and we retain the one signed by the Vendor. This is when contracts are dated and become exchanged. Cooling off period – normally contracts exchanged with a real estate agent will have a five (5) day cooling off period which gives you five (5) days to change your mind. If you have not done so during this cooling off period you should make sure you undertake all necessary pre-purchase inquiries such as building, pest and/or strata inspection reports. This is also the time that you should ensure that your loan becomes unconditional. Should you decide not to proceed with the purchase you must notify the Vendor and their Licensed Conveyancer/Solicitor in writing prior to the cooling off period expiring. The Vendor will retain 0.25% of the purchase price. Important: if you purchase a property at Auction, contracts are exchanged and there is no cooling off period. Similarly, if the property is passed in and you purchase the property after the Auction, but on the same day of the Auction, the Auction conditions still apply and there is no cooling off period. Section 66W Certificate – the Vendor in many cases will request that the cooling off period be waived. If you agree to have this waived, your Licensed Conveyancer/Solicitor will be required to sign a Section 66W Certificate stating that they have explained to you that there is no cooling off period, and that contracts will be unconditional at exchange i.e. no changing your mind. Unconditional loan approval – this means that your loan has been approved and is not subject to any conditions such as valuation. After you apply for a loan most financial institutions will initially provide you with pre-approval. Once you find your dream home the bank will then arrange to valuate the property. Subject to any other requirements, if the bank is happy with the valuation they will then approve the loan unconditionally. Certificate of Title – is the document that shows who owns the property, whether there is any mortgage or other encumbrance etc. effecting the land. Mortgagee – is the financial institution providing funds to you. Mortgagor – you are the mortgagor. This means you are the person receiving funds in exchange for the financial institution obtaining an equitable interest in your property. Rescind – means the contract is taken to have never existed. In this case you would be entitled to have the deposit returned to you. If you need assistance or guidance with the procedures involved before entering into a Contract for the purchase of a property or need to discuss what is required before you place your property on the market, please give Elisa Western, the owner of Step by Step Conveyancing a ring and she will be more than happy to go through the procedures with you step by step.